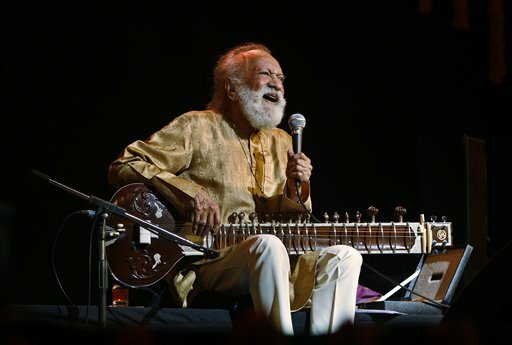 People around the world are mourning the legendary Indian musician Ravi Shankar, who died earlier this week. In Chicago, that group includes fans, presenters and performers of his music. Musician Lyon Liefer doesn&apos;t play the sitar, he plays the bansuri, a North Indian side-blown flute. Still, he says he comes from the "school" of Shankar. By school Liefer doesn&apos;t mean an actual building or registered institution, but a particular approach to performance. In Liefer&apos;s case, the connection to Shankar is deep. His guru or teacher was taught by Allaudin Khan, the same man who trained Shankar. Liefer never met Shankar, though he was actually in India when the Beatles were there. He says he has great admiration for Shankar&apos;s "personality, charisma and ability to relate to audiences. He was a fantastic asset for the music." Rahul Sharma is a sitar player and band leader of the local group Funkadesi. He laughed while recalling how every time he totes his large instrument through O&apos;Hare or other airports, people stop him and without fail utter a kind of three-word chant. "Sitar? Ravi Shankar!" Music presenter Brian Keigher (also known as DJ Warp) began promoting Shankar’s music here in the early &apos;90s. But he says the sitar player’s connection to the city goes back much further. Keigher remembered Shankar telling the story of when he&apos;d first performed at Orchestra Hall "when he was a young boy in his brother&apos;s dance ensemble, in the late 1930s. So he had a real affinity for Orchestra Hall and for Chicago." 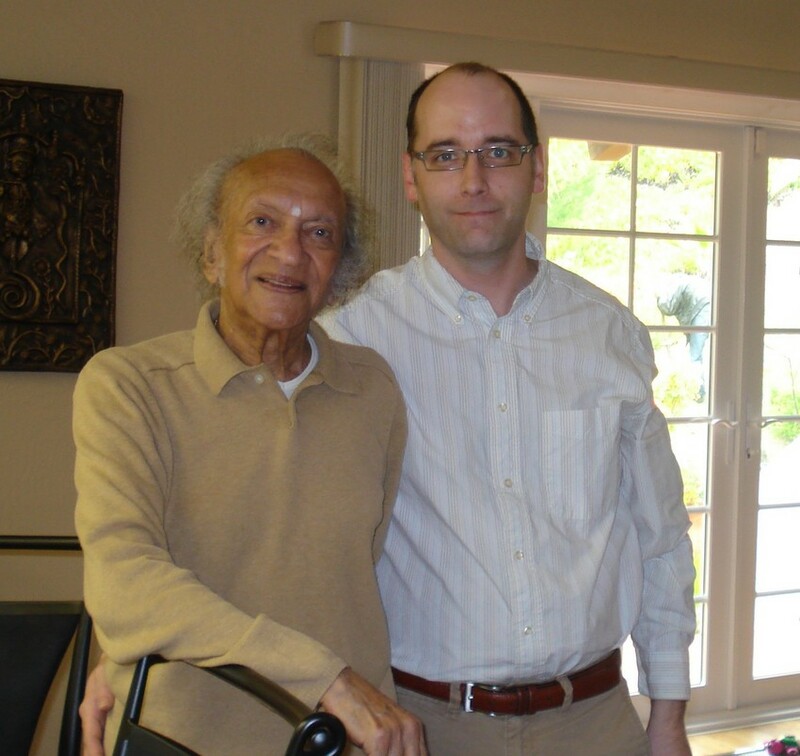 Mesmerized by the sitar player&apos;s music, Keigher eventually became his friend, and even attended the musician’s 90th birthday celebration in California (despite having also arranged a tribute concert to Shankar at the same time in Chicago!). Keigher says while audiences have embraced Shankar’s music, not everyone follows his rigorous training and guru-shishya tradition in which a student undergoes a long period of training with a master teacher. "You know people can say they picked up the sitar, played it two years and then get gigs on their own. But you know it’s not really cut from the same cloth as that tradition." Lyon Liefer agreed, saying traditional classical Indian music really isn&apos;t a big thing in the United States. Perhaps that&apos;s because most audiences first encountered Shankar not through his own musical tradition of northern Indian classical music, but through other musical forms like pop and jazz. And of course many of Shankar&apos;s musical ambassadors were western musicians like John Coltrane and most famously, George Harrison. But for Rahul Sharma, "That&apos;s (the) beauty of sharing these musical traditions. Yes they&apos;re very different. But they have in common the element of improvisation and self-expression. As a listener, hearing the interaction and interplay is always fascinating." Sharma said one of the best ways to appreciate Shankar&apos;s music is to gather a group of friends and listen together to some tracks, maybe with a glass of scotch or some food at hand. Kindly enough, he&apos;s extended that invitation to all of us, including any local sitar players. Friday night at Fitzgeralds, at a show originally meant to celebrate 16 years of Funkadesi, the group and Brian Keigher will also honor the life and legacy of Ravi Shankar. It gets underway at 8 p.m. in Berwyn - all the details are here.